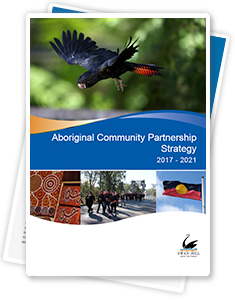 The Aboriginal Community Partnership Strategy 2017-2021 (Strategy) has been developed to ensure Council, together with the Aboriginal Advisory Group, continues to strengthen the partnership with Aboriginal and Torres Strait Islander communities within our municipality. Council’s Community Development Unit will oversee and assist with the implementation of this Strategy. 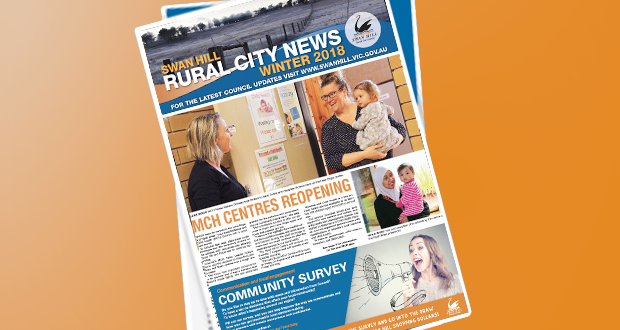 The Strategy’s aim is to encourage people who reside in or visit the Swan Hill region to embrace our Aboriginal culture and people throughout the municipality. The Aboriginal Community Partnership Strategy 2017-2021 (Strategy) has been developed to ensure Council, together with the Aboriginal Advisory Group, continues to strengthen the partnership with Aboriginal and Torres Strait Islander communities within our municipality. Council’s Community Development Unit will oversee and assist with the implementation of this Strategy. The Strategy’s aim is to encourage people who reside in or visit the Swan Hill region to embrace our Aboriginal culture and people throughout the municipality. This Strategy highlights Council’s and the Aboriginal Advisory Group’s commitments, aims, actions and goals which will be achieved through working in partnership with Aboriginal and Torres Strait Islander communities through the implementation stage. The Strategy integrates the findings of these four documents to articulate a four-year plan to deliver outcomes in partnership with local Aboriginal communities. A four-year implementation plan is also included and will evolve over the course of its delivery. This plan will be reviewed annually and redeveloped accordingly. Throughout the life of the Strategy, the local Aboriginal community will continue to provide input and feedback through established partnerships and networks. These local networks and partnerships assist to deliver services or advocate on behalf of wider Aboriginal communities and include the Aboriginal Advisory Group, service providers, organisations, the Community Elders Gathering and the Swan Hill and Robinvale Local Aboriginal Networks. Developed to encompass both Commonwealth and State Government systems, this Strategy opens opportunities to collaboratively gain the best outcomes for our local Aboriginal communities. Its strength lies in its ability to be delivered through resources available within Council, service providers and local Aboriginal networks, while providing an opportunity to source external resources to further develop the partnerships between Council and our local Aboriginal communities.